So this week I've been gearing up for Bout of Books 11.0, I did get some reading done, but I only finished a few graphic novels. This week is going to be crazy, I have Bout of Books 11.0 and a Book Blogger Challenge that I am participating in. There will be a lot of posts this week. Also below you will find a giveaway. Make sure you stick around for that! Alright, down to the fun stuff! 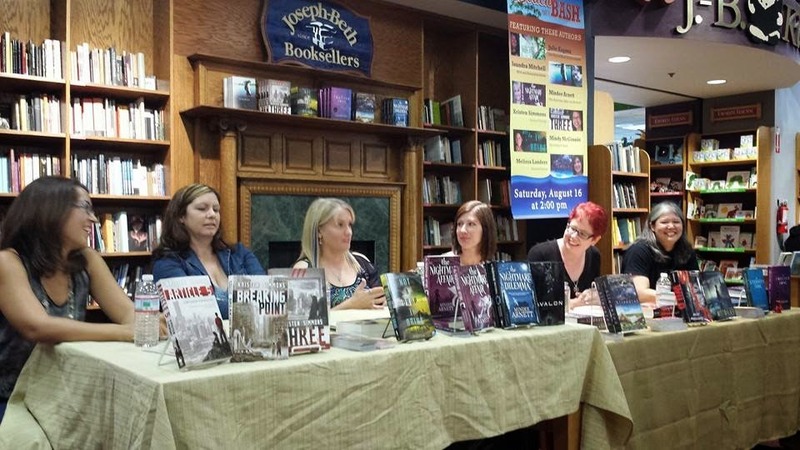 Yesterday I had the best day, I got to go to Joseph Beth again and chat with 6 amazing authors. Yep that's right another fantastic book signing. I had met each of these authors once or twice before but I love getting to see them. But anyway, the lovely store gave me the poster you will see in the image below and each author signed it to giveaway here on the blog. To enter all you need to do is do the things on the Rafflecopter. It's pretty simple. This giveaway is only for residents of the US though. Sorry to my international people!